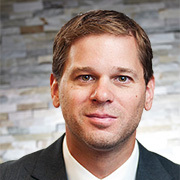 Bryan Romanesky is President, founder and CEO of CITYTREND and CEO of Permit Masters. In 2010, CITYTREND was named by Profit Magazine as one of the Top 50 Emerging Companies in Canada. 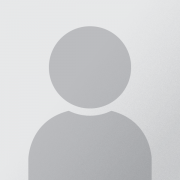 Bryan formerly worked with The City of Calgary’s Corporate Planning Application group and holds a Bc. Sc. in Urban Planning from Université du Québec à Montréal. He volunteers with Calgary’s U6 soccer program and at Connaught School. Bryan joined Horizon Housing’s board in 2014. "Homelessness is a complex problem. The solution is not only financial support but the daily dedication of organizations and people. With Horizon Housing, I have found an organization where my contributions make a difference." Mike Nerbas holds a Bachelor of Arts from the University of Alberta and a Masters in Environmental Design from the University of Calgary. Mike is Vice President of Health, Safety and Environment for Whitecap Resources. Prior to this, Mike held executive positions at SECURE Energy Services, Newalta Corporation and ARCADIS Canada and was President and Owner of Greystone Environmental Consultants Inc. He has volunteered and continues to devote time to a number of local non-profit organizations including The Drop-In Centre, United Way, Calgary Women’s Emergency Shelter and Ronald MacDonald House. Mike joined Horizon Housing’s board in 2015. "Horizon Housing addresses what I see as the number one need in the city today: affordable housing for the disadvantaged and working poor. There are many good organizations that focus on the ‘why’ of our homeless problem. Horizon Housing is an organization committed to solutions." 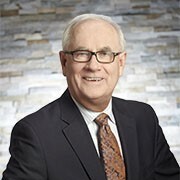 Don Peard recently retired from a career of over 30 years with RBC where, prior to retirement, he held the position of Regional Vice President, Mortgage Specialists for Alberta and the Territories. He is a fellow of the Institute of Canadian Bankers and earned his Personal Financial Planning diploma in 2002. Don sits on the steering committee for the RESOLVE Campaign and has previously served on the board for the Regina Symphony Orchestra. He also been a regional representative on the Canadian Council for Aboriginal Business. Don joined Horizon Housing’s board in 2003. "I'm extremely proud of the contributions Horizon Housing makes to help Calgary reduce homelessness. Most importantly, in alignment with the 10 Year Plan to End Homelessness, Horizon Housing is committed to providing supported and integrated housing for so many individuals and families in need." 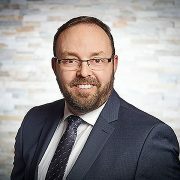 Wade Paget is a Chartered Accountant and received his Bachelor of Administration from the University of Regina and Master of Professional Accounting from the University of Saskatchewan. 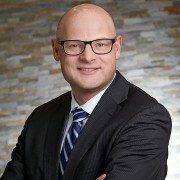 He has a broad range of professional experience in accounting and finance, working with companies such as Suncor Energy, PwC, Enerflex Ltd. and Agrium. Formerly, Wade volunteered as coach with Regina Minor Football. He joined Horizon Housing’s board in 2011. "Over 3,000 people in Calgary live without the one thing that many take for granted; a safe and secure home. Horizon Housing is a leader in our community and is both dedicated to and capable of addressing this problem. I want to be part of the solution." Deborah Durda is a designated Chartered Professional in Human Resources (CPHR) with 20 years of HR expertise in a broad range of industries and is also a volunteer with the CPHR Alberta, Recertification Committee. She has worked most recently as an HR professional with several well-known energy services companies including Western Energy Services, Calfrac Well Services and Newalta Corporation. 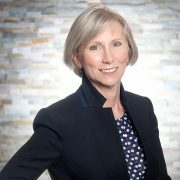 Deborah joined Horizon Housing’s board in 2014. "Affordable housing is one of the building blocks to ending homelessness in Calgary. Having a safe place to call home helps to create, sustain and grow healthy families and communities. Horizon Housing is committed to providing affordable homes. Together, we are committed to finding solutions, which is something I'm proud to be a part of." Bev Forsyth is a Chartered Accountant with broad experience in accounting and financial management, primarily in the real estate sector. After several years with KPMG in Calgary and Toronto, she returned to Calgary and has held senior financial roles in diversified growth-oriented private companies, most recently as CFO of Beattie Homes. Volunteerism is important to Bev and her family. They have volunteered with various organizations related to youth, sports and music. Bev joined Horizon Housing’s board in 2015. "It is my hope that I can make a difference to any one of the 3,000 homeless people in Calgary and ideally to the greater goal of ending homelessness. With the Housing First model demonstrating that providing a home can save tax dollars of $35,000 per person per year, resolving homelessness is clearly a responsible solution." Derek Koppe brings diverse experience in finance through his work on various TD Bank groups including Corporate Accounts and Energy, Financial Restructuring and most recently in his current role as Senior Vice President, Business Banking. 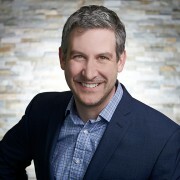 Derek earned a Bachelor of Science Degree from the University of Alberta, an MBA from the University of Calgary and is a Chartered Financial Analyst. Derek joined Horizon Housing’s board in 2015. "We have over 3,000 homeless people in our city and we must work together in unprecedented ways to help change this. Horizon Housing is taking tangible steps through its housing programs and community involvement to affect change in Calgary. I want to help them make a difference." Madelyn is a retired social worker with decades of experience serving vulnerable populations in Canada and the U.S., most recently at the nationally-recognized children’s mental health charity Wood’s Homes. Madelyn holds an MSW from Columbia University in New York and is a Registered Social Worker. She continues to support Wood’s Homes in her retirement through work on the Neighborhood Advisory Committee and by providing single session mental health counselling. Madelyn joined our board in 2018. "Having housing is a right that should not and cannot be ignored. Horizon Housing continues to be a leader in providing innovative housing that supports tenants who have a variety of needs." 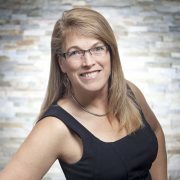 Janine is a CPA, CA with more than a decade of experience providing audit, assurance and risk management services. 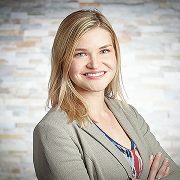 She has worked with both private and public companies in the energy, tech, infrastructure and water products sectors, and has experience working with teams across North America, the European Union, Australia and the Middle East. Janine joined Horizon Housing’s board in 2018 after serving on the Finance Committee for several years. "Needing a home is one thing that every single human has in common. Each one of us needs a safe place to stay. Horizon provides dignity and security to its residents through their housing. As a fiscal conservative, I believe in a housing first approach and completely support Horizon’s strategy in helping end homelessness in my home town." Ian Nash has a wealth of strategic experience in housing development. 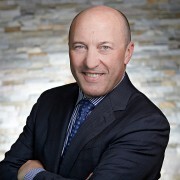 He is currently Vice President, Alberta Homes with Brookfield Residential. His career path with Brookfield formed from a passion for building homes. Ian holds a Master of Environmental Design degree in Planning from the University of Calgary and Bachelor of Arts in Political Science from the University of Victoria. 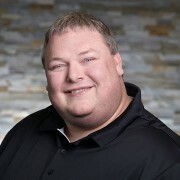 For over nine years, Ian has contributed his professional expertise as a volunteer with the Canadian Home Builders’ Association – Calgary Region. Ian joined Horizon Housing’s board in 2015. "I have always been passionate about building homes and believe we have to provide a full spectrum of housing options to meet the needs of all. Horizon Housing plays an important role in the housing continuum, as well as in the RESOLVE Campaign and Calgary’s 10 Year Plan to End Homelessness." Paul Steckler has diverse experience in commercial real estate finance and development, with extensive knowledge in business development, strategic planning, risk assessment and operations. Currently, he holds the position of Assistant Vice President, Commercial Financing at First National Financial LP where he shares his 20 years of expertise with clients. Paul has held senior roles with an Alberta based new home builder and a regional management role in development and construction financing, for a major Canadian Bank. He has also completed strategic operational and financing consulting engagements for numerous small and medium sized real estate development companies. Paul has a passion for affordable housing and completed the development of three multi-family projects in coordination with Attainable Homes Calgary. Paul joined Horizon’s board in 2018 and holds a Bachelor of Commerce Degree with distinction from the University of Saskatchewan. "The majority of my working career has related to the development, construction and financing of new homes. Being involved with Horizon Housing Society allows me to help families and individuals address their need for safe, affordable housing." As the Director of Development at Royop Development Corporation, Jacob is responsible for the company’s portfolio of new real estate projects. 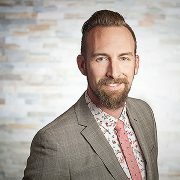 Jacob is a member of the City of Calgary’s Subdivision and Development Appeal Board in addition to a number of real estate industry organizations and frequently volunteers with local arts groups. Jacob holds a Bachelor of Applied Science, with Honours (Civil Engineering) and certificate in Structural Engineering from the University of Waterloo. Jacob joined Horizon’s board in 2018. "I am honoured to be involved with an organization that delivers such a high standard of customer service. Horizon Housing treats each of their tenants with the respect and care they need to feel supported, integrated and welcomed in our City." 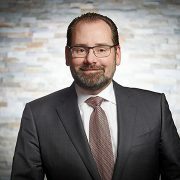 As a partner with Stikeman Elliott LLP since 2002 and a member of the firm’s Calgary Real Estate Group, Michael brings a wealth of knowledge and experience, particularly in the areas of real estate and development. Michael is an active community volunteer and participates in a number of organizations, including the Alberta District Council of the Urban Land Institute. Michael holds a Bachelor of Science and a Bachelor of Laws from the University of Alberta. Michael joined Horizon’s board in 2017 and has served on the Growth and Development Committee since 2016. "Homelessness is a significant issue in many communities and Calgary is no exception. Horizon Housing is a leader in providing sustainable affordable homes to vulnerable people in our community and I am grateful for the opportunity to contribute to the advancement of our mission and to work with the leadership team." As CEO of Horizon Housing Society, Martina Jileckova is passionate about the Society’s mission of providing individuals and families an affordable place to call home and the profound impact housing has on shaping lives and building welcoming, inclusive communities. Martina came to the role in 2017, with 20 years of experience in the real estate sector, and a strong track record of driving meaningful growth. Through leadership roles with the Calgary Homeless Foundation and HomeSpace Society, Martina spearheaded one of the fastest expansions of an affordable housing operator in Alberta, growing from 11 units to 500 in just eight years. 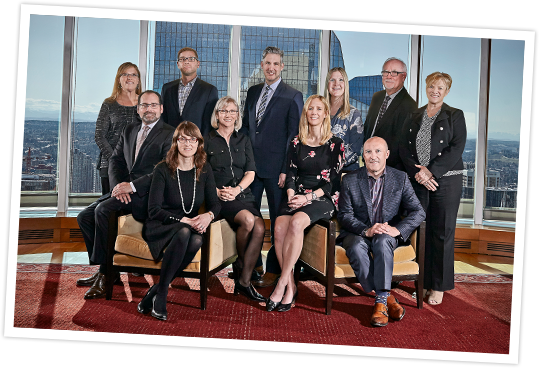 With an ambitious strategic plan and continued focus on responsible growth and community advocacy, Horizon Housing offered the perfect marriage of her experience in real estate development and her passion for implementing innovative solutions to help Calgarians in need. As a respected leader within the sector, Martina is committed to building strong partnerships with government, community groups, and other like-minded organizations. She currently serves as Co-Chair of the Community Housing Affordability Collective (CHAC) and provides leadership as Chair for the National Housing Day Planning Committee. She is a member of The City of Calgary Subdivision and Development Appeal Board (SDAB), the Calgary Local Immigration Partnership Council (CLIP), the Aboriginal Standing Committee on Housing and Homelessness Housing (ASCHH) Sub-Committee, and sits on the Board for the Alberta Network of Public Housing Agencies (ANPHA). 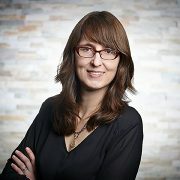 Martina holds a Masters of Environmental Design, Planning from the University of Calgary, and a Certificate of Advanced Real Estate Development Economics from Simon Fraser University. "With unprecedented collaboration within the housing sector and support among government partners, there is incredible potential for Horizon Housing Society to advance its mission and do even more to serve Calgarians in need. I’m excited to lead this work while continuing to help our community’s most vulnerable build community and find their independence."